Each and every home has a water drain that carries sewage and gray water out of our homes. Drain Cleaning in Mesa, AZ is very important for your health and for the productivity of your home. If you don't clean clogged drains, the sewage and gray water will have nowhere to go. Some people don't know the importance of drain cleaning until something goes wrong. When you have clogged drains the dirty water that is filled with bacteria has soaked the floors and your walls, and there is a lot of damage that has been done. Why is cleaning your drain important? Your families health is an important reason why you should keep your drains clean. Bacteria can form when you have clogged drains and can affect your loved one's health. Regular drain cleaning can keep your drains unclogged and can prevent your home from flooding or breeding bacteria. It is important to hire a professional plumber to clean your drains. When the drain lines are working properly your water travels quickly down the drain. 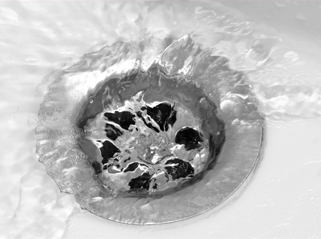 Eventually, your drain lines can get clogged with food, grease, soap scum and hair. When you notice the first sign of slow draining, you should immediately call a plumber. You don't want to wait until the clogged drains cause damage. The plumber can use the proper chemicals and tools to clean your drain without causing damage to the pipes. Drain Cleaning in Mesa, AZ can prevent clogs and back-ups, so it is important to notice the signs when you need some professional drain cleaning done. When the clogged drain is caught early, the plumbing repair will not be as expensive as it would be if you waited. You should make an appointment today if you notice any problems with your drains. Regular drain cleaning can keep your family healthy and dry.